This perfect floral design screams femininity and bold! All lush blossoms formed together creating a beauty that will leave anyone speechless! 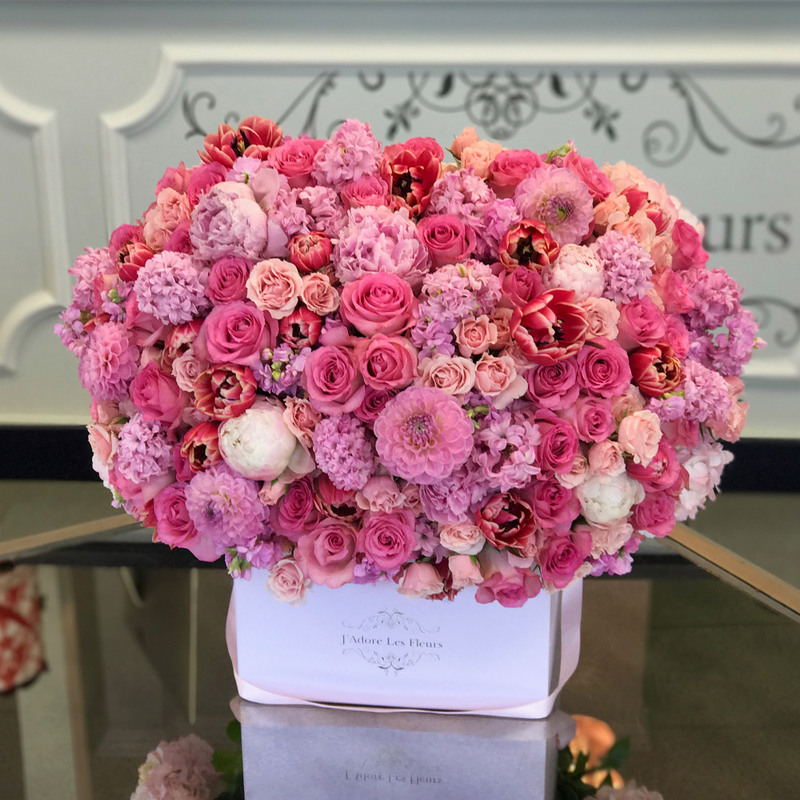 This arrangement consists of pink roses, dahlias, hyacinth, spray roses, stock, tulips and peonies. The arrangement in the photo is in our Large square box.